A boy, 14, faces charges after police allege he pulled out a knife in a fight with two fellow students at a Winnipeg high school. 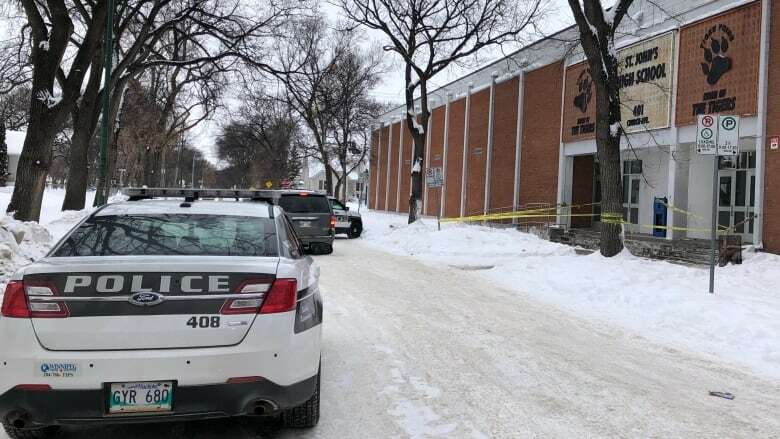 A 14-year-old boy has been charged with assault with a weapon in connection with a stabbing during a fight a Winnipeg high school, police said Tuesday. Officers arrested the teen at a home in the William Whyte neighbourhood around 3 p.m. Monday, police wrote in a news release issued Tuesday. Two boys were taken to hospital in stable condition after officers were called St. John's High School around 2:30 p.m., Monday afternoon. One of the teens didn't require further medical attention after being brought to hospital, police said in the release. Principal Doug Taylor said in a letter to parents both boys taken to hospital were students. He said a fight broke out among the three students in front of the school. The school was under a hold-and-secure from 2:30 p.m. until 3:05 p.m. Monday. It's open Tuesday. The accused, who has also been charged with possession of a weapon, has been released from police custody on a promise to appear in court.